Cruise ship accident or incident are two unwanted puns when traveling by sea, however knowing about maritime law, and having a Miami lawyer specialized in international maritime law is important. If you are injured from a maritime accident, do not work. Heavy work can worsen your injury. Report the cruise ship accident in writing to the ship’s security department and keep a copy of the report. Go to see the ship’s doctor immediately so that you can receive medical treatment and ask to be seen by a shore-side doctor in order to receive better medical treatment. Write down and keep the addresses, emails and telephone numbers of all the accident witnesses. Take pictures of the accident’s scene, even if it has changed. Call us for information about filing a maritime claim. We can answer all of your maritime law questions and advise you as to how to proceed with your cruise ship lawsuit. Crew members and seamen suffer cruise ship accident in every conceivable way aboard the ships or on land working for the ships. The most common injuries that crew members and seamen suffer. For more information, please see Steps You Should Take In Case Of a Maritime Accident . Who is a Seaman or Crew Member under the Jones Act? Unlike land workers, maritime workers cannot claim worker’s compensation benefits. Instead, an injured maritime worker or crew member must file a claim for damages under the Jones Act. The Jones Act gives a maritime worker, more specifically a "seaman" or crew member, the right to claim damages against his employer in the event of injury caused by the employer’s negligence or a ship owner’s failure to ensure the seaworthiness of a vessel. Under the Jones Act, the plaintiff can claim loss of income, medical expenses, and money compensation due to an injury suffered aboard a vessel in the course of performing his duties or while in the service of the ship. However, the Jones Act only protects maritime workers that meet the legal definition of "seaman" or crew member. His "duties must contribute to the function of the vessel or to the accomplishment of its mission." He “must have a connection to a vessel in navigation (or to an identifiable group of such vessels) that is substantial in terms of both its duration and its nature." The first requirement is fairly self-explanatory. Every vessel that takes to the water does so with a mission, whether recreational, scientific, or commercial. The mission might be to transport passengers from one port to another or it may be to transport cargo. Every seaman constantly aboard the vessel contributes to the fulfillment of the vessel’s mission. That is, everyone working aboard a vessel is contributing in some way to a vessel’s mission or they would not be aboard. The cook, the waiter, the cleaner, the navigator, the ship’s doctor, the engineer are all contributing in their own way to the fulfillment of the vessel’s mission. It is with the second requirement that things start looking a little tricky, and this is why it is important that in the event of an injury that you contact a maritime lawyer. This is because while you might meet the first requirement, you may not necessarily meet the second requirement, and if you do not, you may not qualify to file a claim under the Jones Act. The second requirement for defining a seaman or crew member has two parts: the plaintiff must work on a "vessel in navigation" and his contribution or work is "substantial in terms of both its duration and its nature". The vessel must operate on navigable waters, which are waters that the vessel can travel across to reach the United States or another state within the Union. Navigable waters could be an ocean, or a large river, or an inland lake. The vessel must be capable of moving under its own power. The vessel must not be permanently anchored to the sea floor. This strict definition excludes oil rigs. It also excludes vessels sitting in ship breaking yards. While an oil rig appears to float, it can only move if it is towed. For most of the time, an oil rig is anchored to the sea floor and so does not meet the definition of a vessel in navigation. When it comes to assessing the worker’s contribution to the operation of a particular vessel or a fleet of related vessels, a seaman or crew member is one who contributes at least 30 percent of his time aboard in the fulfillment of the vessel’s mission. Consider this example: an administrative clerk who normally works in an office on land but occasionally catches rides on ships to and from ports suffers an injury while aboard. Is he entitled to file a Jones Act claim? If he performs no work aboard the ship that contributes to the operation of the vessel, then no, he does not qualify as a seaman or crew member under the Jones Act. If this administrative clerk spends 40 percent of his time aboard a ship performing duties that contributed to the operation of the vessel and the balance of his work time in an office on land, then he could potentially qualify as a seaman or crew member because more than 30 percent of his work time is given over to duties aboard a vessel in navigation. A court would look at a plaintiff’s career with the shipping company. If he spent more than 30 percent of his career aboard a particular vessel or fleet of vessels, he could qualify as a seaman and seek damages under the Jones Act. Because the Jones Act does not explicitly define what a seaman or crew member is under the law, case law has been used to give the term "seaman" a legal definition. Because the legal definition is not exactly cut and dry and due to the variety of vessels in operation today, as well as the slew of maritime-related jobs that exist, it is important that a maritime worker seek legal counsel in the event of an injury to determine if he qualifies as a seaman or crew member under the Jones Act before filing a claim. The continuing threat of piracy in the Indian Ocean has prompted a global shipping company, The Maersk Group, to place armed security teams on its ships in order to repel potential assaults by Somali pirates. This includes the Maersk Alabama, a container ship made famous by the Oscar nominated film, Captain Phillips, which chronicled events surrounding the pirate hijacking of the Maersk Alabama off the East African coast in 2009. The Maersk Alabama was back in the headlines in February, when two members of the ship’s security detail were found dead on board while the ship was berthed in Port Victoria, the capital of The Seychelles, an archipelago in the Indian Ocean. The two American citizens, Jeffrey Reynolds and Mark Kennedy, worked for Trident CMG, a United States based global security and crisis management firm. Both men were former Navy SEALs. Following the discovery of the two men’s bodies and in response to the police investigation, a senior director for Maersk, Kevin N. Speers stated that the deaths of the Trident CMG security officers were "not related to vessel operations or their duties as security personnel." Speers said that Maersk contracted with Trident CMG to safeguard crews and vessels travelling through "persistently high risk areas," like the waters off the east coast of Africa. The 2013 film Captain Phillips, starred Tom Hanks as Captain Richard Phillips, the American captain at the helm of the Maersk Alabama when she was boarded by Somali pirates in April 2009. The incident marked the first time since the 19th Century that a maritime vessel sailing under the United States flag fell victim to an act of piracy. However, the pirates’ attempt at taking the 500 feet Maersk Alabama failed. Members of the crew fought back resulting in the pirates abandoning the hijacking and escaping in a boat while taking Captain Phillips with them as a hostage. After three days as a hostage, Captain Phillips was eventually rescued by United States Navy SEALs. The ring leader, an 18 year old Somali, was taken into custody and tried in the United States. He was eventually found guilty and is currently serving a 33 year prison sentence. Somalia is a failed state, a lawless country, and today most of the vessels seized by pirates worldwide are taken by Somali pirates. In 2010 alone, according to the International Maritime Bureau (IMB), of the 53 ship incidents related to piracy, 39 of the vessels were hijacked off the Somali coast. The shipping lanes through the western Indian Ocean are amongst the most trafficked in the world. While Captain Phillips came out of the 2009 incident a hero, crew members went on to file a multimillion dollar lawsuit against Maersk and against Waterman Steamship Corp., claiming damages for emotional and physical injuries sustained during the attempted hijacking. The claimants argued that Captain Phillips and the shipping companies named in the lawsuit ignored a maritime warning to stay at least 600 miles off the coast of Somalia to avoid the pirates’ well reported hunting waters. Since the incident in 2009, security teams placed on the Maersk Alabama have repelled two more assaults by Somali pirates. The three attempted hijackings show the need to have adequate security aboard all ships to mitigate the risks of ship hijacking and hostage taking incidents in pirate infested waters. As for the two Trident CMG security personnel found dead on board the Maersk Alabama, evidence points to a drug overdose. Maersk believes that this is an isolated event and its spokesman, Kevin N. Speers, says that Trident CMG is stepping up the frequency of drugs screening for its security personnel. In early 2014, an extremely contagious virus spread among the crew and guests of a Royal Caribbean cruise ship. Those infected with the virus became violently ill with diarrhea, vomiting, and other symptoms. So devastating was the onset of the virus that the ship had to return to its port of origin, carrying over 600 ill passengers and crew members. Following this disaster, experts theorized that the outbreak may have been caused by the norovirus. This virus is known for its quick spread and disgusting symptoms, which include intestinal inflammation, fever, diarrhea, cramping, and violent vomiting. Since the norovirus cannot be killed by standard household cleaning fluids, hand gels, or disinfectants, powerful chemicals are necessary to eradicate the virus once it has a foothold. The virus can live on hard surfaces for up to 12 hours, and it lasts nearly two weeks on soft fabric surfaces. Untreated standing water can harbor the norovirus for many months. As if its resilience was not enough, the norovirus is incredibly contagious. A tiny drop of vomit from one sick individual can infect over 100,000 people. Royal Caribbean was not the only cruise line recently affected by an unsavory incident. One Carnival cruise ship suffered electrical issues, resulting in loss of power to the ship. Passengers and crew struggled with a lack of air conditioning and plumbing, leading to illness and deplorable conditions on board. A credible cruise line should take immediate steps to address a major viral outbreak or power failure such as those reported in these two cruise ship incidents. The company should offer compensation to crew and passengers alike, to help alleviate some of the trauma from the voyage. Royal Caribbean, for instance, offered their passengers a refund of half their cruise cost, along with a credit of 50% off a future cruise. In addition, they conducted multiple barrier sanitizations of the ship, attempting to kill off any remaining vestiges of the virus. Unfortunately, no one can tell for certain whether the virus originated on the ship as a result of unsanitary practices. In fact, it is far more likely that a passenger or crew member brought it aboard and infected others. The norovirus infects about 20 million Americans every year. Therefore, it is sufficiently widespread for such an infection scenario to be possible. To keep cruise ship incidents like this from occurring, crew members, passengers, and cruise companies must take a variety of precautions. Anyone with symptoms of stomach illness, whether they are paying customers or part of the crew, should refrain from boarding the ship. If the illness starts while the cruise is in progress, the affected individual should go to a medical center immediately. Medical professionals who suspect a contagious virus should recommend a limited quarantine for the sick person to prevent the illness from spreading to others. Only through regular cleaning, routine sanitization, and careful inspection can a cruise company hope to minimize the impact of infection and sickness aboard its ships. The investment in cleanliness is worthwhile because it can save a company millions of dollars in customer fares. If a cruise company upholds the proper standards of cleanliness and safety and passes all inspections by the Center for Disease Control, the company is most likely not at fault for the spread of a virus such as the norovirus. In fact, lawyers who process claims for personal injuries do not always take on claims related to norovirus outbreaks, since it is difficult to prove that the cruise line did anything to facilitate the problem. Other types of personal injuries claims against cruise lines are far more likely to succeed in court. When stories of virus outbreaks on cruise ships surface, customers start to wonder if the luxury of the trip is worth the risk. They begin searching for cruise lines with the lowest recorded number of outbreaks. For instance, a cruise company like Royal Caribbean is actually far more appealing than the Princess Cruises line. From 2011-2013, nine different Princess Cruises ships endured norovirus outbreaks, compared to the Royal Caribbean’s four outbreaks. 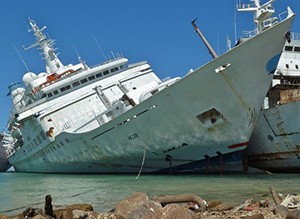 Another factor that prospective crew members or passengers can look at is the number of inspections that a company’s ships have passed or failed. 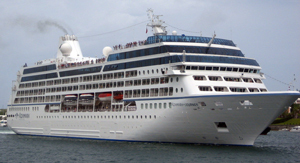 Some cruise lines have a reputation for passing a significant percentage of their inspections with a perfect score. Working for these companies or booking a cruise with them does not eliminate the possibility of a viral outbreak, but it can lessen the potential risk. A few of the top cruise lines known for their cleanliness are Costa, Norwegian, Oceania, and Disney. In contrast, stand ships like the Amadea of Phoenix Reissen cruises. This particular vessel failed its inspection miserably. The report revealed dirt, bugs, clogged drains, and multiple other issues. Before you go to work on a specific cruise ship or book a cruise with a particular line, find out that cruise line’s record for inspections. Do a little digging to uncover any personal injuries that others have suffered aboard a cruise company’s ships. In addition, check out the results of sanitation inspections for some of the company’s vessels. Remember that a cruise company should keep its ships well supplied with state-of-the-art water filtration and disinfection systems. The cruise line must also have adequate medical centers that document every illness. In the galley and dining areas, cleanliness is paramount. The entire food preparation and food service area should be pristine, with all the high-quality equipment necessary to keep surfaces clean and to preserve food from contamination. Cruise ship incidents such as the Royal Caribbean outbreak may make customers think twice about booking a cruise. In addition, these situations often cause concern among crew members who work aboard cruise vessels. Repeated personal injuries and illnesses aboard an employer’s cruise ship should inspire crew members to defend their right to a safe, sanitary workplace. If you are concerned about the cruise ship environment in which you work or relax, consult with a reputable maritime injury lawyer to see what legal recourse you may have. The deaths of two maritime workers at a ship scrapping yard in Izmir, Turkey in August made headlines around the world, not because it was yet another deadly incident in the notoriously dangerous ship demolition industry but because of the history of the cruise ship the men were scrapping. Turkish authorities have launched an investigation into the incident in the flooded engine room of the MS Pacific, a leisure liner made famous for its role as the titular "Love Boat" in the hit ABC TV series that aired from 1977 to 1986. Small by today’s standards at just 554 feet in length, the vessel, originally called the Pacific Princess was sold to a Spanish company in 2002, and renamed the MS Pacific. The iconic leisure cruise liner was set for a refit in the Italian port of Genoa in 2008 but it was seized by Italian authorities after its Spanish owners abandoned the vessel. The MS Pacific was then sold for scrap in 2012 and towed to Turkey. It was during its Mediterranean crossing to Izmir, Turkey, that the MS Pacific suffered severe flooding due to high seas. Before the Izmir Ship Recycling Co. could begin dismantling the cruise ship for scrap, diesel-powered pumping equipment was brought in to pump water out of the vessel’s flooded engine room. The probe into the accident may look at why ten men happened to be in an enclosed engine room while exhaust-spewing pumping equipment was in operation. All ten men were rushed to a hospital suffering from exhaust inhalation. Eight men recovered, while two men, Doğan Balcı (37) and Davut Özdemir (40), died. The investigation may also query an allegation made by relatives of one of the deceased men that he did not receive proper medical treatment for alleged Freon gas exposure two days prior and that this incident played a role in the man’s death. A Turkish newspaper, Today’s Zaman, quotes a relative of Balcı: "Doğan came over to our house on the second day of Eid and said he had been exposed to poison at work along with three others. However, they were given a yogurt drink by their employer instead of being taken to a hospital." Freon gas is a refrigerant used in refrigerators and air conditioning systems. Inhalation can impair the proper functioning of the heart and lungs. If both men were exposed to Freon, this earlier incident could explain why out of the ten men that suffered exhaust inhalation in the flooded engine room, it was these two men that died. Turkey scraps about 400 vessels a year, and is responsible for 23 percent of worldwide maritime demolition activity. The ship demolition business is infamous for lax health and safety procedures that cost the lives of scores of workers every year and injures many more. A game of hide and seek aboard one of the most luxurious cruise ships afloat resulted in a failing grade from the Center for Disease Control (CDC) when a surprise inspection was conducted. This summer, in Skagway, Alaska, the cruise ship Silver Shadow, which had previously scored in the highest range of grades, was repeatedly cited for using an “organized effort” to remove 15 trolleys of food from the ship’s galley to individual crew cabins to "avoid inspection." This surprise inspection occurred because concerned crew members sent photographs to the CDC showing meat in sinks and trays of food in the hallways outside the cabins. The Silver Shadow received a failing grade of 82. Anything less than an 84 is considered “unsatisfactory“, according to the CDC website. Before the release of the score, a spokeswoman for Silversea Cruises, Ltd, e-mailed CNN stating that the firm was “deeply disappointed” with the inspection. Silversea Cruises, owner of the Silver Shadow, sells itself in its advertisements as emphasizing luxury and a “world class culinary experience.” Most large cruise ships carry from 2,000 to 5,000 passengers, but Silversea Cruises focuses on a more intimate experience carrying only around 300. This luxury and “world class” experience is not cheap. Passengers are charged an average of $5,000 per week to sail on their ships. During the inspection, the crew members aboard the Silver Shadow claim their superiors ordered them to sleep with food in their cabins. Adriano Colonna, a pastry chef, hired on a short term contract, said salami, blue cheese, as well as other food items, were kept unrefrigerated in crew cabins night after night to avoid health inspections. According to the CDC’s final report, bleach was poured over the discarded food to prevent it from being used after the inspection. A promise was made to correct these actions, but no fine was issued and the ship was allowed to continue on its scheduled trip along Alaska’s inside passage to Juneau. The CDC has no real authority to correct these issues. The CDC’s Vessel Sanitation Program employs inspectors from the U.S Public Health Service and all it can truly do is ask the cruise line to correct the problems. "The CDC requires all ships to submit corrective action statements for deficiencies," the program states on its website. "The CDC does not verify that the deficiencies have been corrected until after conducting the next vessel inspection." This failed inspection aboard the Silver Shadow is not an anomaly. This year alone, six cruise ships have met failing grades upon inspection from the CDC. Despite cruise ships being the subject of many negative headlines in the past few years, recent surveys have shown that overall customer satisfaction remains high with the eight major cruise lines. (J.D. Power and Associates) Disney Cruise Line, Royal Caribbean International and Holland America Line came in first, second and third, respectively, in customer satisfaction, while Carnival ranked last. Silversea Cruises was not included in the survey which measures seven factors that can affect a passenger’s enjoyment and experience: condition of the room, food, service, the efficiency of boarding and departing the ship, entertainment, cost and excursions. Is the food aboard cruise ships safe?